Holstein Kiel travel to Wolfsburg as they seek back-to-back promotions, while die Wölfe are in the dreaded playoffs for the second time in succession. 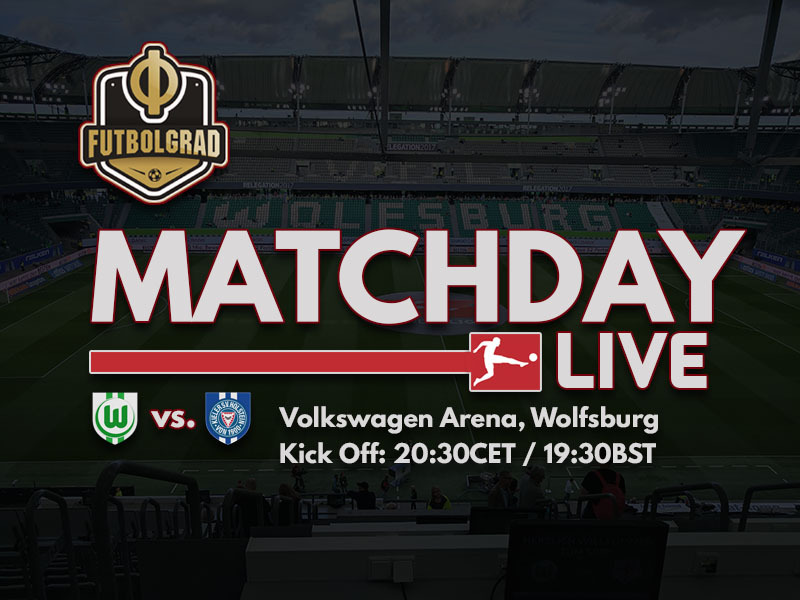 We’re live at the Volkswagen Arena to bring you all the action from Wolfsburg vs Holstein Kiel in the Relegation 2018 first leg. Kick off tonight is 8.30pm CEST / 7.30pm BST, and the referee is Deniz Aytekin.